If your out and about and feeling a little off color. You can now check yourself over with the help of your iPhone, a electronic stethoscope and the stethoscope iPhone App by Thinklabs Medical. 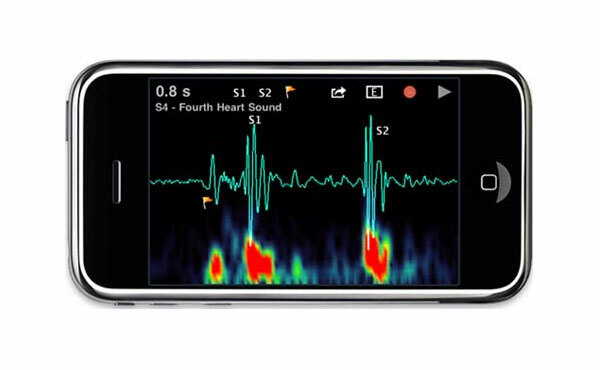 Once connected to a electronic stethoscope the Stethoscope iPhone App can record, playback, and visually display auscultation sounds and display the heartbeat as a spectrograph or waveform in real time. Your recordings and screen shots can then be emailed with notes directly from your iphone. The Thinklabs Stethoscope iPhone App has set a new standard for medical device user interfaces.